90th Academy Awards in White River Junction! – Revolution. Reinvented. 90th Academy Awards in White River Junction! 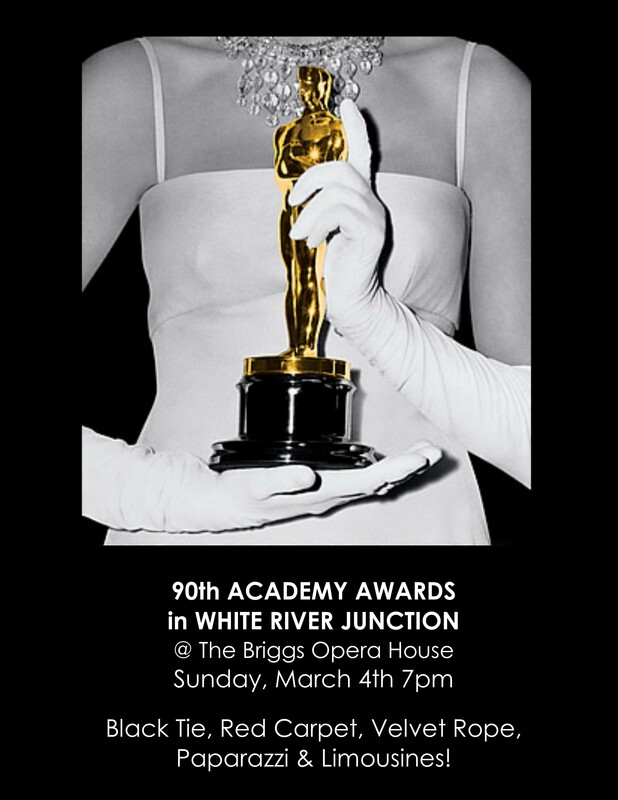 Revolution, The Hotel Coolidge & The White River Independent Film Festival present the 90th Academy Awards in WRJ! 7pm-11pm, Sunday, March 6, 2018. Arrive at the Hotel Coolidge. Cruise to The Briggs Opera House in the chartered stretch limousine. Cross the red carpet & paparazzi line. Complete your ballot for the 2018 Junk Awards & enjoy the show! Admission is free & the cash bar is cheap. Complete your WRJ experience with an award winning $49 room rate at the historic Hotel Coolidge! This film & fashion event of the season is brought to you by The Hotel Coolidge, The White River Independent Film Festival & Elixir! If you have a better party to go to on a Sunday night in Vermont in February – I want to know about it!